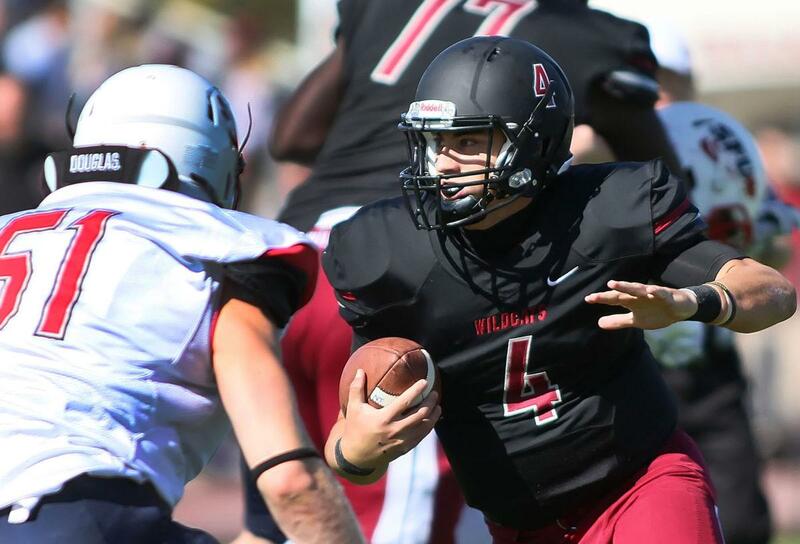 Eastern Washington football sure could use Reilly Hennessey this week. No hard feelings, but the former Eagle quarterback is glad he made the move to Ellensburg last winter. Nine months after transferring to Central Washington, Hennessey is the only unbeaten collegiate quarterback in the Pacific Northwest. His Wildcats are 10-0 and ranked seventh in Division II, and Hennessey is doing what he always wanted: starting. “I wanted to play a little more,” Hennessey told NCAA.com last month. After backing up Gage Gubrud last year and faced with more of the same in 2017, Hennessey got some guidance from then-EWU coach Beau Baldwin, a former CWU quarterback. “The night I called him and spoke about options, within a matter of hours of getting off the phone, he sent me a screen shot of (CWU) coach (Ian) Shoemaker’s response,” Hennessey said. The junior from Camas, Washington, is having a stellar season, completing 179 of 267 passes for 2,066 yards, 24 touchdowns and five interceptions. The Wildcats finish the regular season on Saturday at Humboldt State, and then it’s off to the postseason. Hennessey said he appreciates the start he got in Cheney. Published: Nov. 7, 2017, 4:20 p.m. Updated: Nov. 7, 2017, 8:53 p.m.